What do you think it means to be indulged in a cultural experience? Is it to travel overseas and live the life of another? Is it to try different practices? Is it to be engaged in the food, games and entertainment of a stranger? Do we only experience the lives of others to gain empathy or to understand the world better? But where do you find these experiences? For some it means searching the world, for others it’s through research, rarely is it firsthand. That’s why when the Academic Achievers of Year 7 and 8 set off to Melbourne, we held in perspective what culture can be found amongst the states capital. For some, Melbourne is merely a city. A city of work, a city of shopping, a city of education and a city of business. But underneath is the rich history of a city that grew from a convict country to the multicultural society we see today. We were given the opportunity to not only experience the culture of the past, but the present and future. What we learnt at places such as the Immigration Museum and the Parliament House was how Melbourne grew and became the diverse city it is now. Many families fled to Australia for a better life, escaping a place called home for a chance at freedom and opportunity. The culture of Melbourne was born. We see it in the present, The Queen Victoria Market explores not only a century of heritage but also continues to be of significance to the people of Melbourne. The Noodle Market is a festival of flavours, back dropped against the Yarra River. We were able to set aside our generic fast food meals and instead try the delicacies of Asian Cuisine. We experienced the ACMI centre and learnt how film has shaped and become symbolic within our lives. We were able to explore a part of Melbourne not commonly associated as an attraction. China Town was a place where you stepped out of Australian life and into the banquet and traditions explored within China, eating their traditional foods. The National Gallery of Victoria allowed us to explore what is believed to be ahead of our time in exhibits, sculptures and more important than ever, political voice. 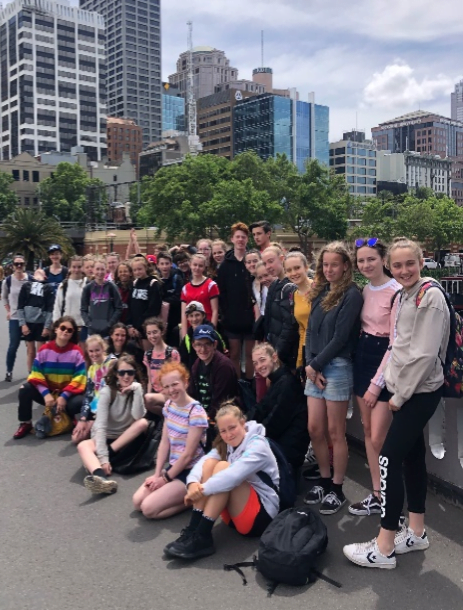 By engaging ourselves in our surrounding environments, we were able to experience the different aspects, traditions and cultures not usually thought of or associated with Melbourne. We laughed, we cried (with happy hysterics), we complained (“But our feet, they hurt”) but most importantly we were immersed in the cultures that make Melbourne and its people the way they are, diverse.